It dragged them all down and out of Old Trafford. But Ole Gunnar Solskjaer hasn’t just shouldered the burden of emulating his old gaffer. The wee Norwegian has done it with a smile on his face – and the club has risen to meet old expectations again. So fair play to Ole for nailing the manager’s job on a permanent basis. He absolutely deserves it. Yet I’d be lying if I said I saw it coming when he was handed the caretaker reins. It looked like a placeholder appointment to me, a guy who’s popular with the fans brought in to keep a steady hand on the wheel until the summer. Instead, Ole took the handbrake off. I’m a big Mourinho fan. Everybody knows that. I’ve never hidden it. But the safety-first United he put on the park was never going to sit well with fans on the Stretford End, raised on Sir Alex’s swashbuckling sides. “Attack, attack, attack,” sing the Old Trafford punters. And that was a huge part of how Ferguson’s teams went about their business, especially at home. That approach has been lacking for a good few years. Ironically, Sir Alex has to take some of the blame for that as he will have had a hand in choosing the men who have succeeded him. 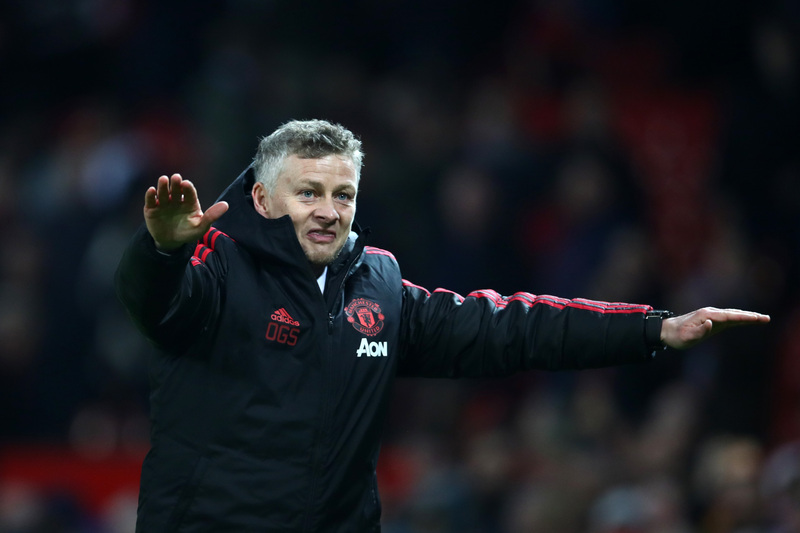 Ole has brought back the flamboyance of Fergie’s teams, and the players have responded to it. That’s why I think it’s finally time to start talking about Sir Alex’s legacy in a positive way again. It has been too much to bear for some big-name bosses. But as an Old Trafford legend, Ole knew what was needed to get the club moving in the right direction again – at least on the training ground and on a match day. He has taken a leaf out of his old manager’s book, and it appears to be working. The big test will come this summer, when Ole is handed United’s cheque book. He knows how he wants his United team to play, so he should know the kind of players he’s looking for. I’m sure he’ll already have targets. And I’m sure he’ll be lining up potential replacements for a few big names who might move on. For me, Paul Pogba is top of that list. The Frenchman has come on to a game under Solskjaer, there’s no doubt about it. Like everyone else in the United dressing room, he has benefited from having the shackles taken off. But if Real Madrid come in waving £125million-plus around, as I’ve heard they will, I can see Ole being quite happy to let Pogba go. The question won’t be whether United will cope with his loss. It will be how they’ll strengthen with the cash they’ll make. For me, United are only three or four solid additions away from being title contenders once again. With the right recruitment drive, that could be the work of a single summer, especially with the potential wedge from Pogba’s departure burning a hole in the manager’s pocket. And for the first time since Sir Alex departed the dugout, United have a manager steeped in the club’s traditions. Ole has already shown the value of that. If he turns short-term success into long-term glory, it will be fitting that one of Sir Alex’s star pupils was the man to restore pride.